The town of Abita Springs appeals to those who seek a quieter life, fresh water, and the beauty of the nature. The unique character of the town has been captured in this rendering. 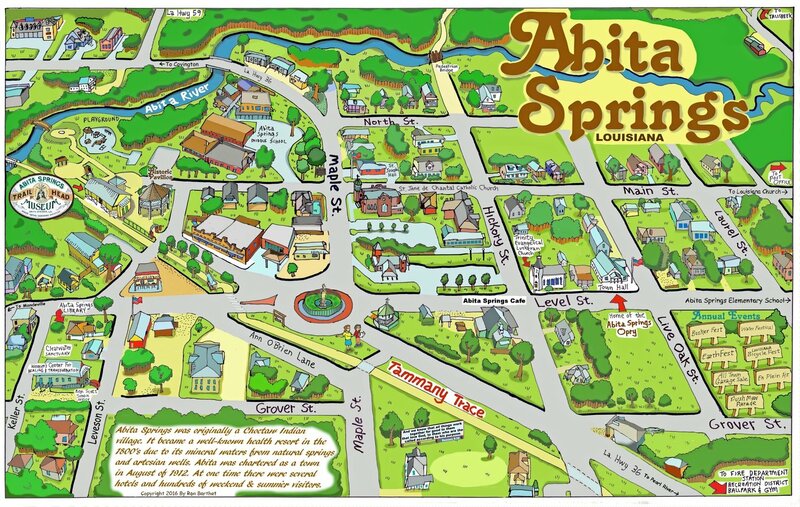 Abita Springs is known for its historic ambience, small town values, and an incredible amount of local artistic talent. Order your already mounted on a back board ready for framing 24" X 36" print(s) today and save the shipping and handling costs if shipped within 50 miles of Abita Springs. Quantity discounts are available for 11" X 17" size prints by calling 985.788.9772.